Fans of Tamil superstar Ajith celebrated 100 days of actor's film, Vedalam on 17 February. Ajith fans ensured that #100DaysOfATBBVedalam was a top trend on the microblogging platform - in a bid to mark the Rs 110 crore plus collections of the 2015 Diwali release. 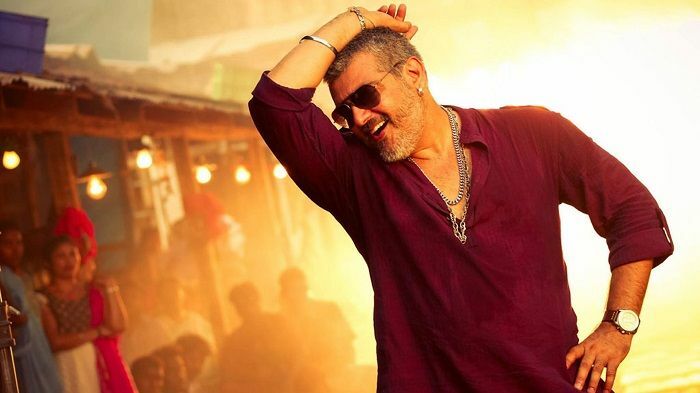 Produced by AM Ratnam and written-directed by Siruthai Siva, Vedalam was made on a budget of Rs 60 crore. The film collected Rs 15.5 crore on its release - breaking records to become the highest opening Tamil film ever. Also Read: Vettah teaser out: Will the Manju Warrier film help Rajesh Pillai get his hat-trick? The film managed to rake in Rs 5 crore and Rs 6 crore at the Kerala and Karnataka Box Office respectively. What's more, the film also outperformed the Salman Khan-starrer Prem Ratan Dhan Payo in Malaysia, where it collected Rs 2.98 crores within the first weekend alone. The film lost out on its potential to do well at the Tamil Box Office which was still reeling from the devastating Chennai floods. However, with its Box Office run drawing to a close, the Ajith flick has proved profitable for both producers and distributors. Vettah teaser out: Will the Manju Warrier film help Rajesh Pillai get his hat-trick?